The WDBX Wind Down will be a family friendly cap to a wonderful weekend. Taking place at the Town Square Pavilion, there will be face painting and refreshments as well as live music from Abundant Sunshine, Kent and Dorothy McDaniel, and the Joey Odum Blues Band among others. 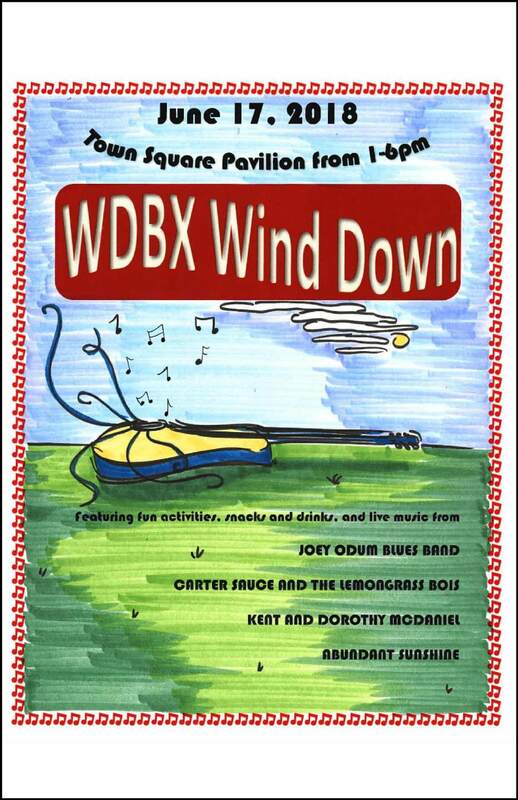 The WDBX Wind Down will take place from 1-6pm.